The Addison County Board of Realtors® engages in a variety of legislative and regulatory activities to protect property rights and to create home ownership opportunities for citizens of our county and for all Vermonters. Working with the Vermont Realtors® state association, our leadership lobbies on key real estate issues in Vermont’s statehouse. Realtors® raise and spend money to elect candidates who understand and support their interests. The money to accomplish this comes from voluntary contributions made by Realtors®. These are not members’ dues; this is money given freely by Realtors® in recognition of how important campaign fundraising is to the political process. RPAC doesn’t buy votes. RPAC enables Realtors® to support candidates that support the issues that are important to their profession and livelihood. ACBOR works with Vermont Realtors®, the state association for Vermont Realtor® members, and with the National Association of Realtors® to support key home ownership issues. Our goal is to ensure that the dream of home ownership is accessible to all Vermonters and to all Americans. Read more about the issues below. 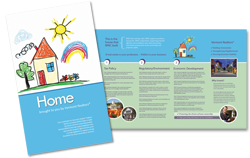 Download the Vermont Realtors® Home Brochure for an overview of legislative accomplishments.